High quality springs are required to transfer the exact movement of the camshaft to the valves at high engine speeds, this is especially important on high performance engines. Tomei products are always engineered with precision to suit the users needs. This requires careful selection of materials and surface coating. Tomei springs are constructed with oil tempered chromium-silicone alloy steel wire which is considered to be the best material for performance springs in the industry. 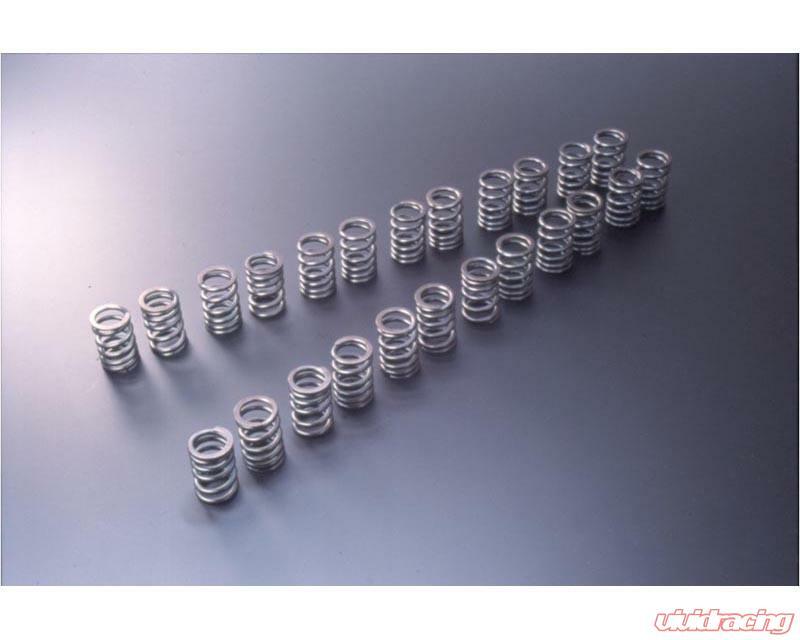 These high quality materials combined with a new optimized design means the springs are more durable as well as more effective at suppressing valve jumps or bounce even at high RPM???s. The nitrogen surface treatment permeates the spring and gives it increased surface compression repulsion. This method was chosen to raise the fatigue limit to suit the high RPM deamands as well as running high lift camshafts. The dangers of spring failure is greatly reduced with the 1.5 times increase in the springs fatigue limit with the combined use of Oil tempered chromium-silicone alloy steel wire and nitrogen surface treatment. This allows Tomei springs to be used on engines that rev to 10,000 RPM which had not been previously possible with high lift camshafts.